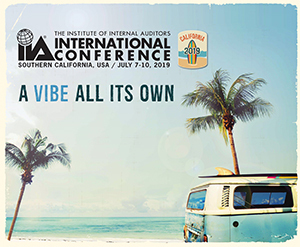 The IIA’s 2019 International Conference will be held in sunny Southern California! You may not hang 10 on a surfboard but you won’t want to miss joining us in the land of the endless summer. You can get on board to catch the new wave of audit wisdom by signing up today to receive updates and important information on this one-of-a-kind event! Complete this form to receive information about the conference.